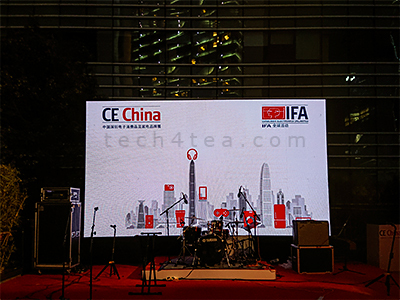 CE China 2018 – Welcome reception marries brands & retailers « Tech bytes for tea? Representatives of government, business, media, sponsors and partners networked at the welcome reception prior to tomorrow’s opening of the third edition of CE China 2018. “Suning has been the chief strategic partner of CE China for the past three years. The show has provided a very good platform for domestic and oversees businesses and consumers. That is one of the reasons we are cooperating with CE China,” said Dai Fengjun, South China Executive President and General Manager of Guangzhou Suning Group. 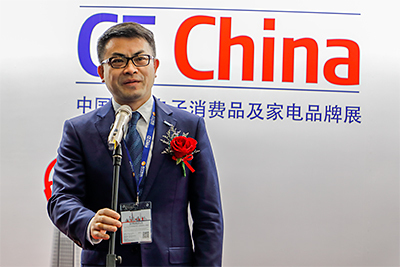 Jens Heithecker, Chairman of CE China, IFA Executive Director and Executive Vice President Messe Berlin welcomed the nearly 100 attendees of the evening. “CE China is about a highly efficient convention to support international brands as well as retailers. With this approach that made IFA the globally leading trade show for consumer electronics and home appliances, we are convinced that we serve the Chinese consumer market more effectively and that we correspond well with the initiatives by the Chinese government,” said Jens Heithecker, Chairman of CE China, IFA Executive Director and Executive Vice President Messe Berlin. CE China is designed to link up global brands with Chinese retailers who are keen to introduce new products to their customers. Retail giants such as Suning, Tmall/Alibaba and JD.com – who are official partners of CE China 2018 – offer international brands a complete spectrum of services, simplifying access to the Chinese market. 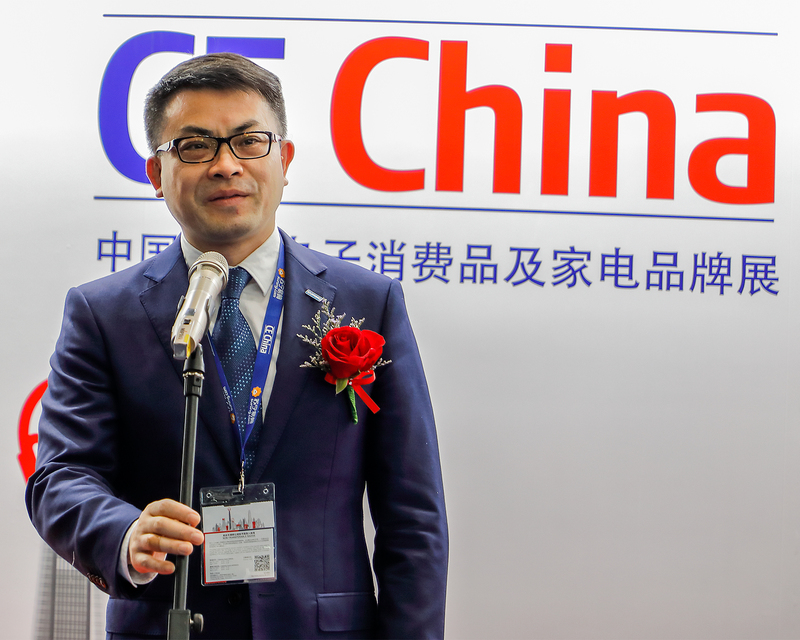 Heithecker explained during the reception that the key idea for CE China 2018 is “really to get high quality trade visitors, combined with the public who are really interested in new technology”. To him, “it’s not about mass, or the largest number – it’s all about the right number”. By way of key performance indicators for CE China 2018, Heithecker explained that he will try measure how many retailers are addressed, how many retailers are in the room, and the atmosphere between the retail and the brands. The trade show also provides a valuable opportunity for the industry in the market to gain media coverage for their new products, as they debut from the factory to the retail floor. The welcome reception for CE China 2018 was held at The Ritz Carlton in Shenzhen, across the road from the venue of the trade show at Convention & Exhibition Center. Heithecker wants to help and support the industry with promotion for their products by offering CE China as a trade show that serves as a neutral and trusted platform through which customers can discover new products. This entry was posted on Wednesday, May 2nd, 2018 at 11:00 pm and is filed under Events, events, Party, travel. You can follow any responses to this entry through the RSS 2.0 feed. You can leave a response, or trackback from your own site.